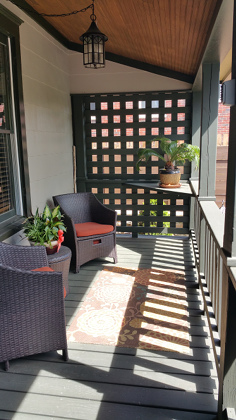 Our Friendly B&B with upscale rooms and common areas sets the mood for relaxation and rejuvenation. Throughout the Inn we exhibit stylish designer and artistic details, with furnishings from Persian rugs to works by local artists... surpassing the standard for bed and breakfast accommodations. The plush King size beds may tempt you to sleep through breakfast, but when you taste our unparalleled breakfast cuisine, you’ll be delighted you didn’t. 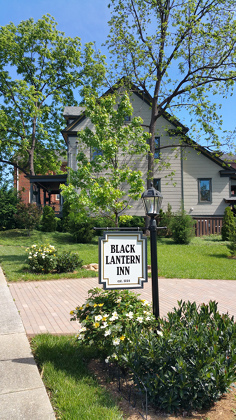 The Black Lantern Inn Bed and Breakfast, located near downtown in the beautiful mountain valley of Roanoke, Virginia can only be described as your dreamed- about getaway. 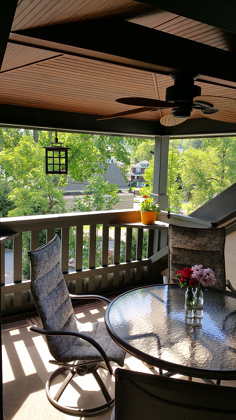 We are also near the Blue Ridge Parkway with easy access from the Parkway to the Inn, popular with local residents and discerning travelers from around the world. 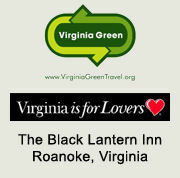 Once you find us, you might wonder, "Why stay anywhere else?" Hitch your wagon under the Star!